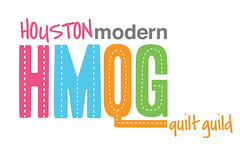 love your quilt and the bookish quilting is amazing. This was a huge surprise for me and I absolutely love this quilt! I am a bragging mom now, but Hilary does the most beautiful work! I love the quilt but nowhere near as much as I love my daughter! Thank you so much for being my friend too! Sorry Hils, I just realized you were logged into my computer and I commented as you! I actually figured out how to change to my own name so there is hope for me yet! This is a great quilt. Good call on the quilting.